Create and play: In Playground, you can make photos, selfies and videos come to life by adding your favorite superheroes, animated stickers and fun captions. In celebration of Marvel Studios’ 10 Year Anniversary, you’ll enjoy seeing the characters from the Marvel Cinematic Universe (exclusively on Pixel) react to each other and to you. New packs for Weather, Pets, Sports and Signs let you have everyday fun, and coming later this year, you'll be able to sharpen your dance skills with moves from Childish Gambino. 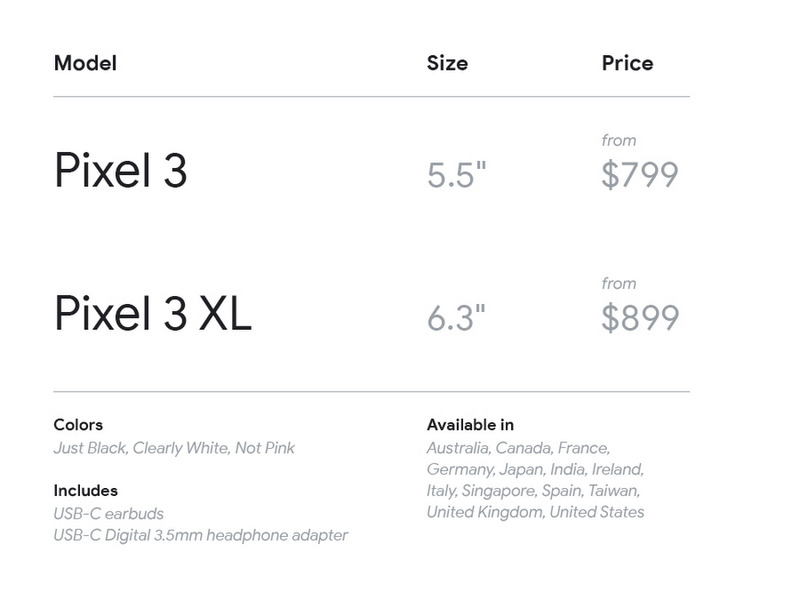 Pixel 3 is available for pre-order now from Verizon, Project Fi, and Google Store unlocked.